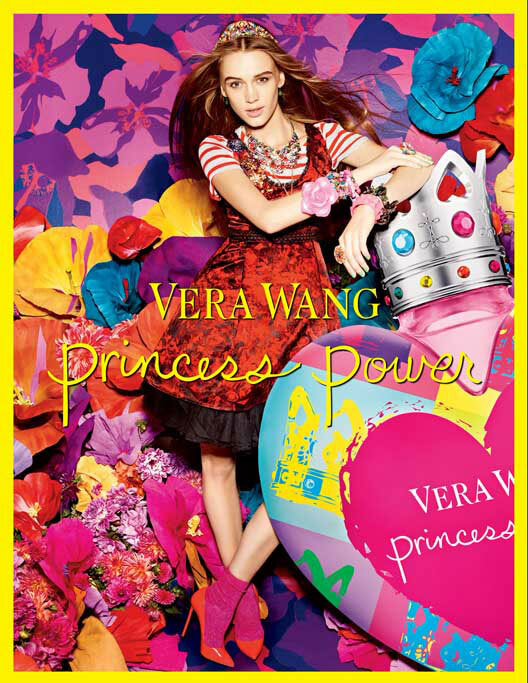 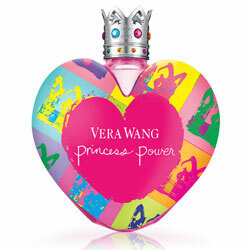 Princess Power by Vera Wang - Vera Wang Princess Power fragrance. 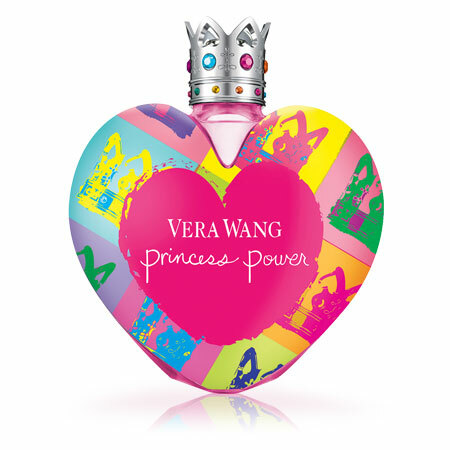 A new fruity floral fragrance for women with a pop of pear, rainbow rose, and vanilla scents. 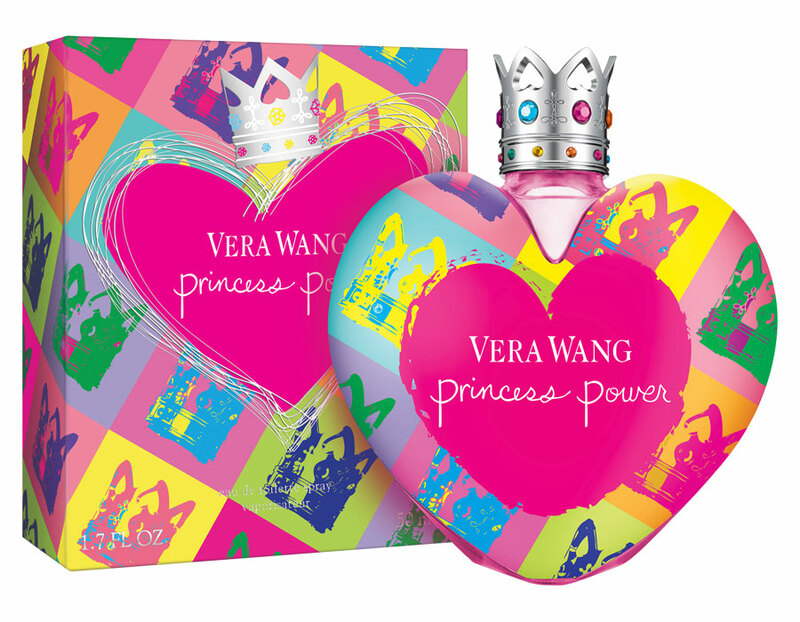 The new addition to the Vera Wang Princess fragrance collection is packaged in a pop art colorful heart shaped bottle with silver bejewelled crown cap. 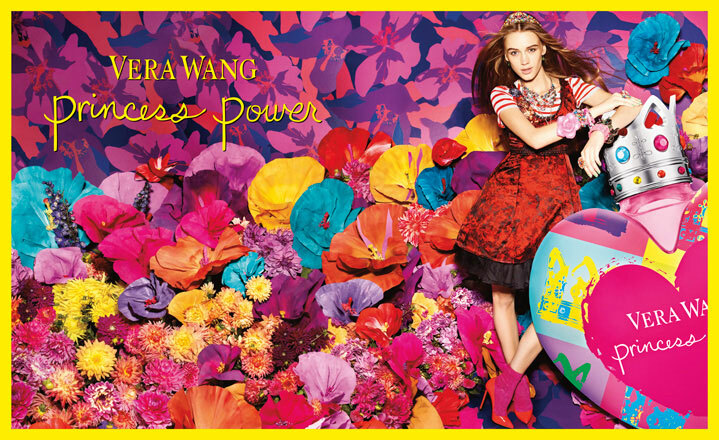 This perfume "is all about a new attitude." 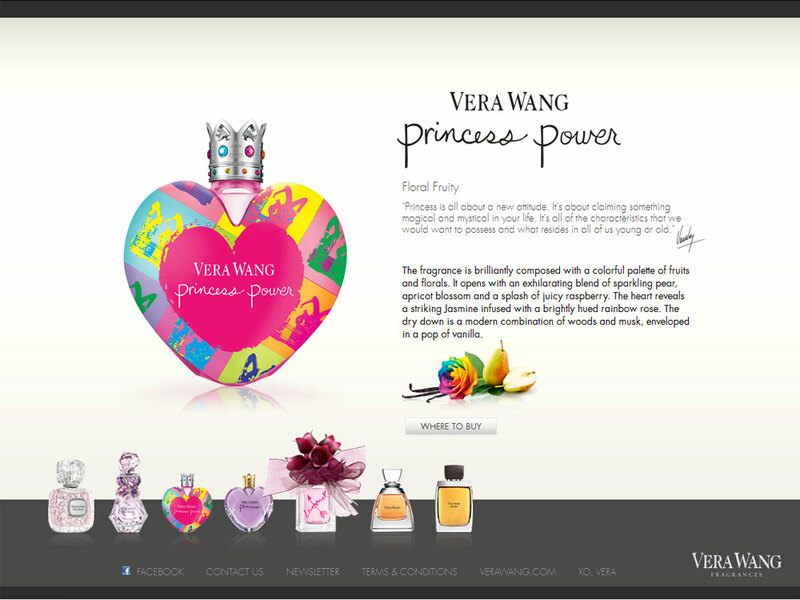 Package Designer Princess bottle with vibrant pop art colors and bejewelled silver crown cap.